Eco-horror films were all the rage in the 1970's but in recent times they seemed to have dwindled. With the T.V. show 'ZOO' recently showing a return of the genre it would seem that the animals on the rampage format is not forgotten. 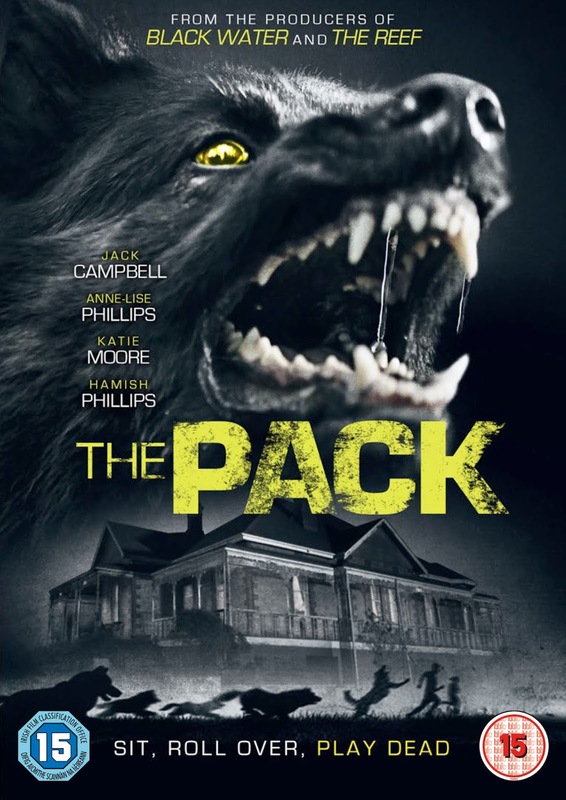 Now the Nick Robertson directed 'THE PACK' is another gem to add to the genre. Not to be confused with the 1977 film of the same name, this 2015 film follows a family run farm in Australia which has fallen on hard times and is unable to stop the beasts known as the bank foreclosing on their home. After the heartless soul leaves the farm after dropping the bombshell of pay up or become homeless you just hope that he comes to an unfortunate end. Alas he does and good job....or are we supposed to feel sorry for him as he is teared to shreds by a wild pack of dogs. Anyway back to the family who after dealing with one problem are now threatened by the very same pack of wild dogs which they must fight off or die. Will all four members of the family survive? Only one way to find out is by watching it for yourself, you won't be disappointed. This film has no time for lightheartedness which is a good thing as the film is tense throughout and shot brilliantly. It is also not dialogue heavy like other entries in the eco-horror genre ('FROGS' (1972) comes to mind) and concentrates more on the threat to the family. Another great thing about this film is that they use actual dogs, hardly any time for c.g.i. in this film which is good as it would have only cheapened the whole film I feel. Overall a brilliant entry in to the eco-horror genre that will hopefully see a return to form for the genre.